WASHINGTON, D.C. – U.S. 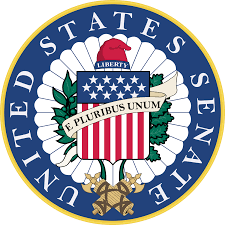 Senators Tom Carper (D-Del), top Democrat on the Environment and Public Works Committee (EPW), Tammy Duckworth (D-Ill.) and all other EPW Democrats today urged Environmental Protection Agency (EPA) Acting Administrator Andrew Wheeler to reopen public comment periods for all pending regulatory decisions, extend those that are currently open and reschedule all public hearings that were cancelled due to the shutdown. For parts of the 35-day government shutdown, many of the federal websites that collect public comments were unavailable or inaccessible, preventing the American public from receiving the normal amount of time to review and comment on new regulations. The letter was also signed by U.S. Senators Ben Cardin (D-Md. ), Bernie Sanders, (I-Vt.), Sheldon Whitehouse (D-R.I.), Jeff Merkley (D-Ore.), Kirsten Gillibrand (D-N.Y.), Cory Booker (D-N.J.), Ed Markey (D-Mass.) and Chris Van Hollen (D-Md.). The full text of the letter is available below and a copy is available HERE.